Apple made two checks in their efi ebc driver for 5870 and 5770, to preventus flashing pc cards. other info from driver point that upcoming cards gonna be Northern Islands after all, not Southern. The Rominator have tested Apple’s 5770 with his MacPro 1,1 and it works fine, proof. In other words it should work in MacPro1,1, follow us at forum thread. Ok, so forum.netkas.org is open again. Old content moved to Archieve board, two new boards added – for discussing osx and graphics cards and one for flashing and roms for macpro vga cards. 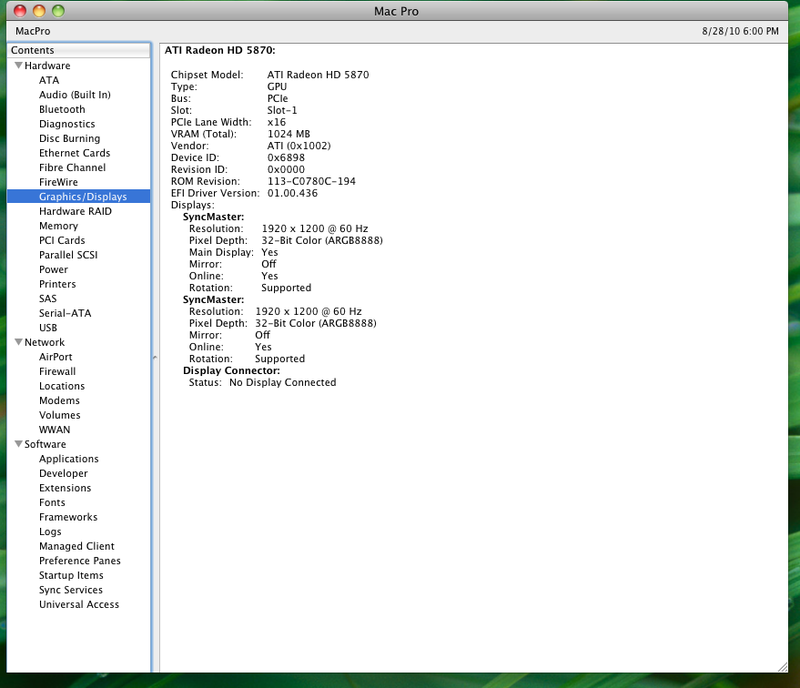 I used efi rom from new imac’s 5750 and original 5770 pc rom to create custom hybrid rom. It works in osx, no injector used. Since I used mobility ATI rom we have nothing from card on boot, but once osx booted – the card works. Both dvi ports work, displayport works too, 3 displays doesnt work atm. Once we have macpro’s 5770/5870 roms boot screen should work too. But for now you can already enjoy 5770 in your macpro. It only works on 2008+ macpros, because efi is 64-bit now, not ebc anymore. before flashing you also need to install driver. Also, 5870 is working too in macpro.